For a really long time,I have been looking for a Mechanical keyboard. But due to its availability and high prices (specially in India) I couldn’t get any. 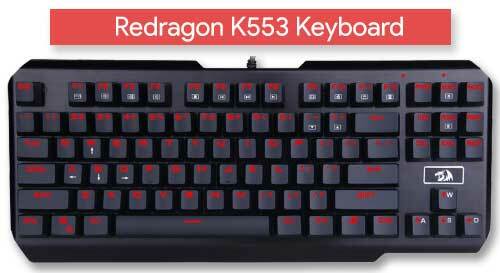 I kept on searching and soon I found the Redragon USAS K553. This is the first mechanical keyboard that I owned, though I have used many in the past. So, here’s my review of this keyboard. 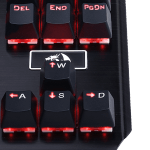 Redragon is a China based hardware company. They manufactures high quality gaming peripherals. They are mostly famous for there value-for-money products. There products are of trusting quality and are cheaper than many brands like Corsair, Razor, Cooler Master. 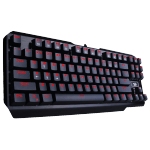 The Redragon K553 has a Tenkeyless Design(No number keypad.) The keyboard is made entirely of ABS plastic and Metal backplate. It also has a floating design keys. This design makes the keys seems to be floating. The plus point of having a floating key design makes it easier to clean and maintain. The keys are supported by a hefty metal backplate which adds to its weight and premium looks. 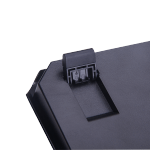 On the bottom of the keyboard are 4 fixed rubber feet and 2 foldable rubber feet that keeps the keyboard still on most surfaces. The keys are mechanical double-shot injection keys. They are made by Outemu and are called Outemu Blue switches. Information provided by the company’s website says that they are Cherry MX Green equivalent. But in my opinion they sound a little different than Cherry MX Blue and works like Cherry MX Blue. Hence, giving them a really clicky sound and good travel distance along with tactile feedback. Cherry MX Green are generally preferred by gamers. 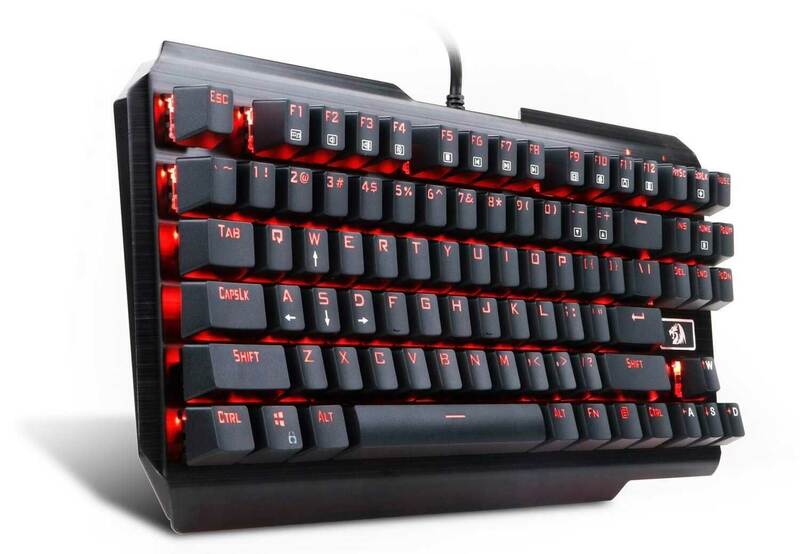 The Redragon K553 consists of 87 standard keys with redragon’s font. Backlit by Red LED which can be turned off and has a breathing effect built in. The speed of breathing effect can be changed along with static brightness. It also comes with a keycap remover which can be used to remove keys for cleaning the keyboard. The Keyboard has 12 function keys that can be used as Multimedia keys with combination with Function key (FN). It also provides you to lock the windows key which can be accidentally pressed while playing many games. Redragon claims it to be splash proof but i strongly recommend keeping liquids away from it. The USB is also Gold plated but the cable is NOT braided, which means that it can easily break or tangle. It supports Windows XP, Vista, 7, 8 and higher, though Mac OS and linux support is not provided. 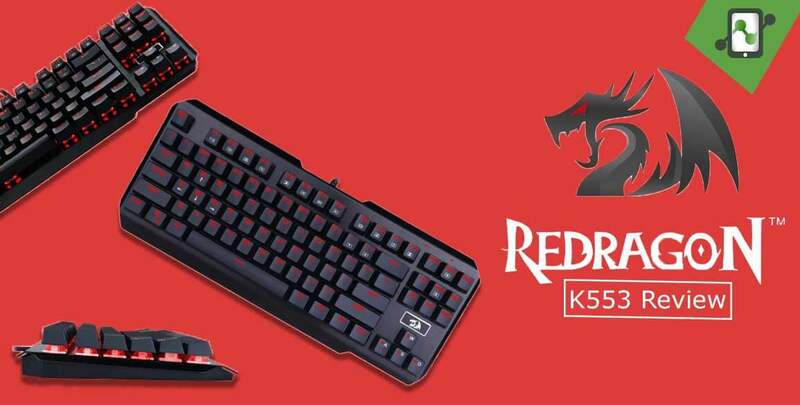 The Redragon K553 costs under $40 or INR 3,999(Amazon India). Though prices tend to flicker depending on your location and time. The keyboard also comes with a 1 Year Manufacturer Warranty. Based on my use for the past few weeks, I think this is one of the Best keyboard available for this price point. This is one of the best bang for buck. I would suggest this to anyone who wants to try a Mechanical Keyboard but is on a budget. Even if you have owned any mechanical keyboard, this is worth a try. Your first mechanical keyboard? GET THIS! Really good to experience a Mechanical keyboard and not pay those hefty prices. If you have been using a Mechanical Keyboard, this might not be the perfect fit.